The Slippery Slope From Paying Authors to Being Paid By Them? The rise of self publishing has been significant in recent years and what was often derided and dismissed as Vanity publishing is now here and growing. The number of self published titles is growing year on year and they are becoming often as visible as many ‘published’ titles. Its ironic that at a time when publishers are trimming back their lists, getting tighter on advances and generally pushing back on those manuscripts that are many refer to as the ‘slush pile’, the ability to self publish was never easier and more attractive for many aspiring, backlist and forgotten authors. The challenge for many publishers getting that balance between attracting and harnessing new talent whilst ensuring it doesn’t open its flood gates to the masses of material looking from a publishing home? Some believe that they have found the answer and instead of ignoring the self publishing businesses that have been happily taking the money off the authors for often little or no return, have instead decide to buy them up. Earlier Pearson surprised the market in their acquisition of Author Solutions , for a price many believe was over the top. Now Simon & Schuster has announced it is to follow the pack and partner with the same US service provider Author Solutions. Author Solutions isn’t new to having publishers knocking on its doors to partner and already has arrangements with Harlequin and Thomas Nelson. This new partnership will create a new entity Archway Publishing which will aim to appeal to authors looking to publish fiction, nonfiction, business or children’s titles. How all these fit into the overall ownership of Pearson is somewhat a mystery to us but no doubt plain to those involved. So Simon & Schuster will now not pay the authors looking to be published but instead intend to provide a ‘premium service, at a premium price and in fact make from the rise in demand in the market. The majority of Author Solutions revenue comes from author payments not market sales. The 64 dollar question is what value add Simon & Schuster will bring to the table. It is clear that they intend to exploit the authors desire to be published and in so doing some would suggest they have not raised the bar, but lowered it and with it themselves and their reputation. Whatever is included in the premium package, we are now moving dangerously close to a model which may force many to pay to be published and where publishers no longer take risk, but feed of the aspirations and egos of those less fortunate. How do they distinguish between those they pay and those they make pay them? Author Solutions will not be using Simon & Schuster resource and like Harlequin and Nelson will not have their name associated with it which again make one question where all this bandwagon is heading? So are authors merely being exploited and for what end? Some suggest that publishers can monitor the titles and use the pool to spot potential titles. Others would suggest that they could do this anyway and by encouraging this cheaper route to talent spot they are trying to force more aspiring authors to write for little and not ask for more. What started off as questions about individual’s offshore investments has swiftly moved onto corporate use of global tax bolt holes in order to avoid tax. Tax-friendly countries aren't new and international companies have been exploiting them for many years. Even the use of Luxemburg by the likes of Google, Yahoo and Amazon has been know for a long time. We wrote about the variance in VAT rates and Luxemburg loophole in late 2011 and its not as if any MP didn't know about it, as it is heavily embroiled in the whole question of VAT and EU tax standardisation. The US Sales tax debate has also been ongoing and has been well documented for years. So why has it been raised now and where is it going? Following the appearance of Google, Starbucks and Amazon executives before a committee of UK MPs last week, UK BUSINESS Secretary Vince Cable,has now urged authorities to clamp down on the “completely unacceptable” corporate tax avoidance and called for international cooperation over any reforms. To some that is like him suddenly having a revelation when caught with his pants down and it is somewhat ironic that he calls for others to reform when he himself is in fact the ‘UK Business Secretary’. If we look at the companies under the current spotlight we see Starbucks, which is thought to have paid just £8.6m in corporation tax since 1999, despite last year sales of £400m. Their movement of liabilities across their total business is what most would expect, but the result is now morally unacceptable to others who may not share the same ability and believe that they are being unduly penalised. The coffee cup is no better for Caffe Nero, whose parent company is based in that heavily populated and coffee shop haven, the Isle of Man. 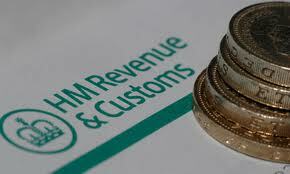 Last year they made a profit of nearly £40 million, but paid no corporation tax in the UK. Caffe Nero is not breaking the law, but are “taking advantage of the rules in place in relation to ‘capital allowances, deferred losses and interest payments’. Another tax avoidance which has now been addressed allowed broadcaster BSkyB to mix VAT and non VAT services within the same subscription. They had been saving an estimated £30 to £40 million a year in VAT by charging satellite customers £2.20 a month for the Sky magazine, which was zero-rated for VAT. This allowed them to avoid VAT of around £3 to £4 per subscriber, which given Sky's 10 million subscribers provides revenues not to be ignored. In 2005 UK courts had ruled that cable companies were allowed to deduct VAT on "cable guide" magazines, if the customers received a product from a separate company and at a fair price. However in 2005 Sky relaunched BSkyB Publications and took production of Sky magazine in-house and also began distributing Sky Sports and Movies magazines. BSkyB Publications' accounts claimed that the majority of the income from the magazine was recycled back to Sky TV. They described it as payments for "customer data" and "support services". In 2010, the Treasury announced among a number of anti-tax avoidance measures, legislation against VAT "supply-splitting" and in 2011 BSkyB announced it would be ceasing publication of Sky Movies and Sports magazines and downsizing Sky magazine. The question is whether the authorities will go back to BSkyB and reclaim the monies apparently due? Apple and Google are based in Ireland and enjoy their low corporation tax benefit. Google uses Ireland for revenues that end up being costed to Bermuda where its intellectual property is registered. We then come to Amazon who like its smaller rival Kobo, have their European headquarters in Luxembourg. It begs the question if any big multinational has their European financial base in the UK? The Guardian claims that Amazon generated sales of more than £3.3bn via its UK website last year but paid no corporation tax on any of the profits from that income and the Security and Exchange Commission show that in the past three years, although Amazon generated sales of over £7.6bn in the UK, they paid no corporation tax on these. However the Amazon issue is not just about the corporation tax but also about is the uneven playing field and market advantage that the 3% VAT rate of Luxemburg gives it against the 20% rate of the UK. The challenge does not just effect the UK , but any country in the EU that has a VAT rate higher than Luxemburg. Amazon effectively does not pass on this windfall benefit to the publishers, who have to cover the whole 20% VAT in their pricing negotiations with Amazon and effectively pockets 17%. This obviously gives them a clear margin benefit over their UK domestic rivals who have to pay the 20%. The EU is moving, albeit slowly, to close down this loophole but it is more than just a tax loophole but how Amazon buys and sells and makes 17% without getting out of bed! Amazon also has challenges with its highly successful third-party Marketplace, where the VAT status of its resellers can lead to misleading prices. Depending on the reseller's VAT status, products sold on Marketplace can be listed either with or without the tax added. Some resellers don't supply the VAT receipts, that prohibits these small businesses from claiming VAT. This doesn't impact small ticket items, but can heavily impact a small company buying expensive PCs and other VAT-able goods. The current situation means non-VAT registered companies can make their items look more attractive by keeping prices below larger competitors and in effect create a false market. However, tax avoidance is now becoming a high risk activity as the media draws the spotlight on the issues and the companies involved now face damaging their public reputations. For government ministers and civil servants to act surprised at the revelations and point fingers at each other, is perhaps indicative of the often ungoverned society we often now find ourselves. We often find ourselves in a world where the likes of twitter and Facebook can draw more attention to issues and we wait until that logic and moral tipping point. The stance and comments from the likes of John Lewis’s MD, Andy Street, and the UK Booksellers Association’s tax and lobbying messages start to raise awareness to the issues. The press has certainly raised the issue of tax avoidance, but perhaps the only real moral test is if the consumer says ‘no’ to the likes of Amazon, Caffe Nero, Starbucks. Imagine a one month ‘say no’ campaign and the impact and message that would send to shareholders of the companies. Perhaps the greatest challenge is to harness the public opinion and convert it into concerted action. A few posters isn’t going to do it. Lots of bad press can often be weathered, but stopping the cash-flow really can send the message home. Perhaps we have to wait until after Christmas and we have bought all our presents from them and drunk their coffee to keep warm! 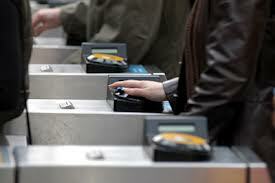 When we travel on the Tube we present our Oyster card and the fare is automatically calculated and deducted from our pre paid credit and we are given entry, or are able to leave the station. Sometimes you can see the amount deducted, but when there is a queue moving behind you, or when the display is badly light, or merely old, we often blindly trust the fare is correct and move on. Yesterday's cash registers used to go 'CaaChing' now the machine merely goes Bleep! Today’s digital market is full of innovative services all aimed at promoting you and your company and brand to the top of the charts. 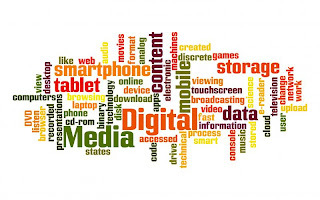 Google ad words, Search Optimisation and many more services are aimed at getting the product in front of the people. Are they the right people and do the hits convert to sales and money is secondary. Being able to relate money in to sales achieved has long been an art form mastered by Marketeers, but today we all are increasingly restricted to hearing ‘Bleep’ and knowing that some money has been taken. Some time ago there was a study into consumer buying habits that was aimed at establishing whether there was a difference in the spending habits between cash and credit consumers. The research found that those with credit spent around 20% more than those who were just using cash. After all, it is easy to spend when all you hear is Bleep! So is this new ‘blind trust’ just restricted to online marketing and credit card spending? As we increasingly all become social network publishers and that includes all business too, what is the cost of visibility? What is the cost of indirect and direct marketing? What is the cost of list management? How do we measure success in a world where there are multiple sale points and subliminal advertising is everywhere? Perhaps Bleep is all we hear and it’s only after a quick direct debit from our account that we see the cost of doing digital marketing today. Red Bull Digital Publishing or Branding? Yesterday we listened to Christian Graf-Simpson from Red Bull talk about the Red Bull brand and its digital publishing programme under the Red Bulletin label. They certainly have taken the publication and created a dynamic app and an impressive digital rendition using Adobe technology. However when we spoke with Christian the presentation some of the gloss faded. They still design for print first and then create the digital renditions off that. They obviously add more content and media but inherently it’s print first, digital second. Does this make sense in today’s world? Is it easier to see the digital picture first and cut back to print, or expand print out with digital fillers? Is the strategy one driven by the way they have always done it, or the tools they use and is it the best way forward? It would appear that it is more about the physical being the money generator and the digital the give away than anything else. Yes Adobe have gone a long way with their creative suite but inherently they don’t appear top have changed the process but merely added more tools sophistication. 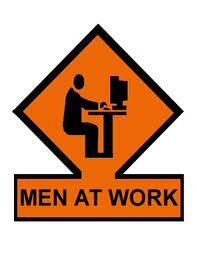 The other challenge was the creation of many digital renditions to satisfy the various digital forms to be serviced. Red bull create separate renditions to maximise the fit to the platform and then serve these up as subscribed. They however don’t use templates to automatically repurpose the content and also create the files and store them as opposed to creating them on the demand against the template. This may be operationally perfect but we would question if it is right given the variation of forms available today and moving forward and also the fact that their customers will change devices and may which to view the content on different devices according to where they are. 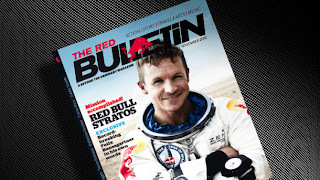 If Red Bull were to flip its business model to a digital subscription and away from physical print what would be the implications? They have clearly pinned their flag against Apple and their store and would obviously in a digital subscription model would have to give away 30% before they passed go. How do magazine subscription models work when 30% is taken by Apple and if they build the app to the degree where it becomes the service, are they effectively building Apple’s future income at their expense? Finally, we were intrigued by the size and reach of an organisation which we still viewed somewhat naively as a drink’s company and racing sponsor. Today they have clearly gone past that and Red Bull Media is a multi media organisation. However, they still operate in separate verticals even within the publishing division and it begs the question on how organisations as diverse but with such a central media core should be structured. 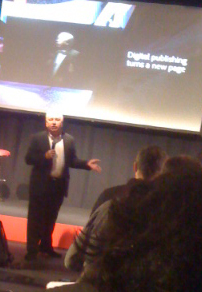 Yesterday we were invited by our good friend, author and futurologist Ray Hammond to hear him speak at the Adobe Digital Publishing and Marketing event in London. As usual Ray engaged with his audience and spoke about the immediate future and the potential some 20 years out. As usual he left us all with some gems. He told us of a recent experience in reading a bedtime story to his two year old goddaughter. He started to read and was stopped when she poked the picture of the elephant and said, ‘Book don’t work.’ The fact that she expected a touch experience was significant, but more relevant was that she saw the book as a flat screen. Ray believes that the lack of vocabulary we have for new technology is often restricting our vision on its potential. This challenge is not new and he reminds us of the projector being first called a ‘magic lantern, the car the horseless carriage, the train the iron horse. All describing what they weren't more than what they were. Vocabulary evolves and the cell phone, mobile, smartphone evolves to being more about what it can do as oppose to what it was related to in a previous life. Ray describes today as the cloud. Ray expects the mobile device to diverge in the next few years with there being a hub device to send receive and route and peripheral devices with which to hear, see, display and interact with the world. His vision is very similar to that of Pranav Mistry’s ‘sixth sense’ device and given he is often presenting to the likes of the Intel, Nokia, IBM, Apple top management around the world, you can bet the vision is now close to reality. The interactive glasses are coming and prototypes are here today, the voice command first generation applications are here today and in the mobile and Mistry demonstrated the display and interactive technology in action some 3 years ago. The questions are not so much about what we shall have in our pockets tomorrow but how we will use them and how that will change what we do today? As individuals and businesses we are all now becoming publishers. All capable of networking, communicating to anyone anywhere and anytime and this is changing social relationships, business relationships and how we do things. The democratisation of publishing is challenging the very processes we have grown to accept, the definition of content and importantly the associated rights of usage and ownership. If you ever are lucky enough to have the opportunity to hear Ray speak we recommend you take it. 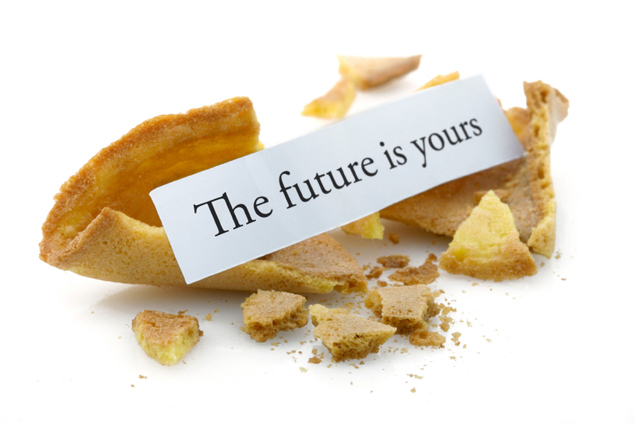 Publishers rightly tend to stick to what they good at when it comes to genre and content. The public may not always recognise the Publishing brand and only recognise the author, but focusing on the genre and building authoritative collections is critical to publishing today. Some mistook this focus as being what book sellers should also do, but forgot that book consumers were eclectic in their buying habits and wanted both value and ‘one stop’ shops. Earlier this year, Wiley sold its Fromer’s travel guide to Google and had declared its intent to dispose of its remaining trade and reference division. Today they concluded that sale to Houghton Mifflin Harcourt (HMH). The sale includes Wiley’s cookbooks, dictionaries and study guides. This continues the new approach within HMH to trade and consolidates material under their Betty Crocker, Better Homes and Gardens and How to Cook Everything brands. We are all aware of the cookbook celebrity brands and success of the likes of Jamie Oliver in the UK and Betty Croker in the US. Cookbooks appear to be holding their own in print and despite the significant growth in cookery applications and websites, account for some 2% of book sales in the US market. HMH now also add Webster’s New World Dictionary to it’s CliffsNotes and educational publishing, test preparation and assessment services. Growing vertical publishing operations is not new and is publishing. As further publisher consolidation takes place, what we once saw a one industry joined together by a single format - the book is starting to diverge and consolidate into stronger vertical operations. The digital marketplace now allows these focused content repositories to be exploited in ways that were somewhat restricted by the book and the economics of the physical market. 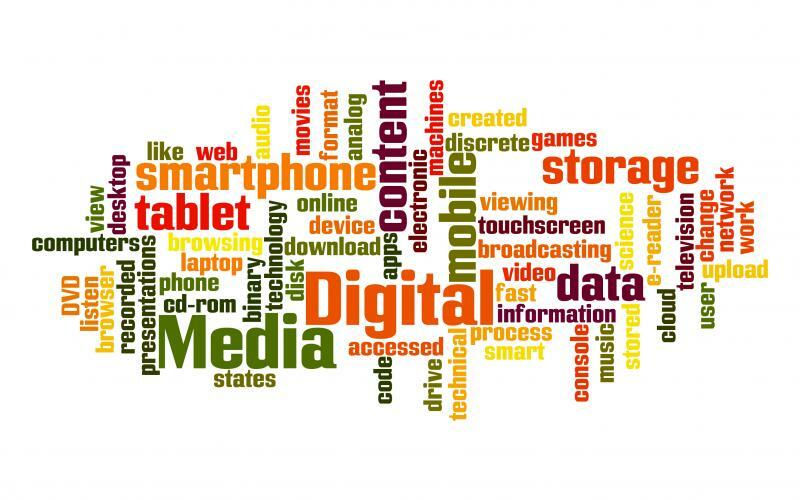 Consolidation of ‘book’ content will continue for those wanting a one stop shop and book buying value, but new markets will now evolve for the digital content and context which will be outside of the book market as we know it today. Packaging and licencing rights into new offers will become increasingly important as the content itself starts to become more fluid. We must always remember that Steve Jobs in creating iTunes sold tracks not albums, George Martin said the album was the menu and the concert the meal and that individual recipe could be proportionately more valuable than the collection. Should publishers become the genre point of focus? Can author brands co-operate to form compelling points of consumer focus, or will they always be reliant of third parties to aggregate them? Who are the genre consolidators that the consumer recognises and how can they cash in on their ‘first point of contact’ opportunity? Yesterday, books were not stocked by retailers whose primary goal was to sell other stuff, but as retail itself migrates increasingly online, then adding associated digital content that enhances the proposition and authority of the sale, becomes a potentially no risk, small cost added consumer value and lock-in. Being able to licence that digital content in chunks, collections and many renditions may be the key to many publishers moving forward. It’s all about content and rights. Is an author or book promotion, just a case of putting an author in front of a camera asking a few questions and posting the result on their web site. Does that image and insight into the author’s thinking make the difference? We have seen book promotion on television stumble along for years, usually subject to the usual discussion on a sofa and the author holding their new book in one hand whilst fixing the eyes on the camera and smiling. Celebrity authors can easily get the right exposure and do it with style and litter the studios of every chat show clutching that new release. ‘Star’ acts such as JK Rowling can even command their own show, set in their own surroundings and probably with well scripted questions and answers. We have also see the video author tour and distance signing, but does it really engage and is a computer generated signature, merely technology looking for a problem? How do we connect authors to readers and is it just all about the promotion of the latest book or about maintaining and developing a continual connection with a fan base? In a period when the book festival and reading groups are thriving, how do we bypass the literary mass gathering and TV and radio Chat show and make author events engaging and happen on the internet? Is it possible, or is it a step too far for technology? The music business faces the same issues. You would think all musicians are natural stage performers, have an engaging persona, are articulate and can make that insightful video engaging. Apparently, without the guitar and mike, many are cliché driven, fail the test and so it’s a case of letting the music do the taking, but as that is audio and often visual, it’s no problem. So we come back to authors and connecting them with the readers, artists with their audience, writing idols with fans, literary talent to a new potential buyer. Facebook and Twitter often works and some authors have developed huge followings, but do you want to know what they had for breakfast and that they are stuck in a BBC lift. We also now have these new social networked authors using their new powers to advertise other material and get paid for it. Does a Justin Timberlake endorsement carry more weight than a slot on the One Show or Graham Norton’s sofa? Secondary endorsement is not new and Oprah and even Richard and Judy have launched their own special endorsement programmes. But is the message always one way and do readers merely want to see and listen then read or engage, or ask questions and get closer to their writers? Michelle Paver is no slouch when it comes to connecting with her readers. 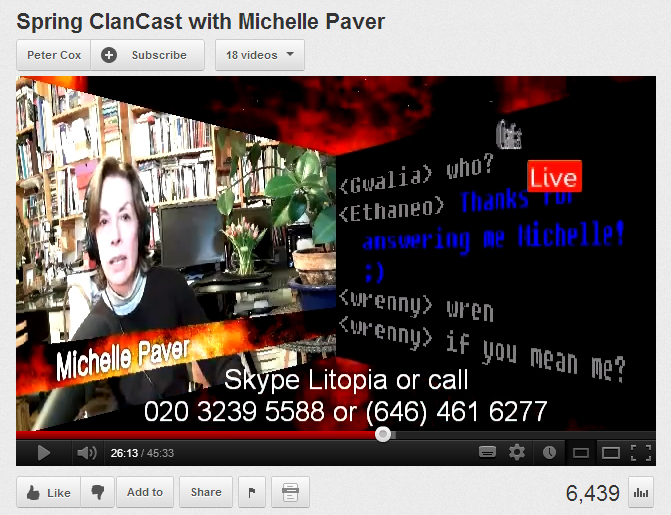 She experiments in many ways and is prepared to be grilled by her fans live on Skype and via on-line chat through Litopia’s Clancast events. These are different in that they announce a day and time and stage a ‘live’ author global event with the likes of Michelle on screen alongside a live chat feed and being interviewed by the accomplished Peter Cox and her fans. The resultant footage is then edited and posted on YouTube for those who couldn't make it to the live event and those who just want the memory to watch. With average some 7 to 10 thousand hits on YouTube they would appear to hit the mark. A 4 year old Orion published a video of Michelle talking about her book around the recording of the audio by Sir Ian McKellen., This clever piece has since had some 11K hits. 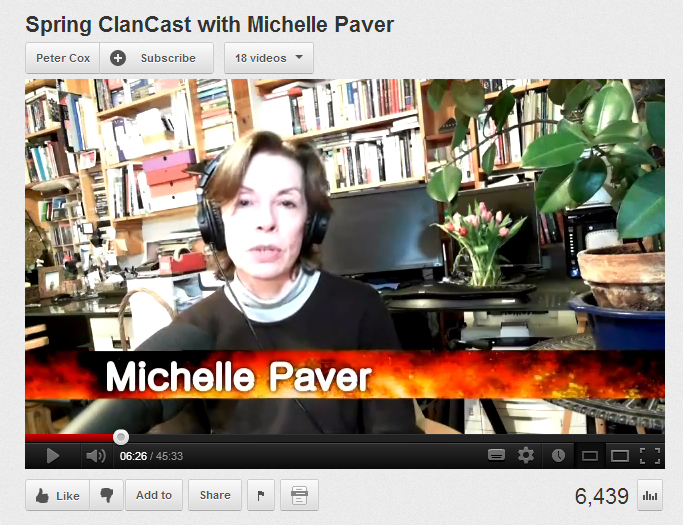 Peter Cox has done four Clancasts/ videos of Michelle which have received 11K, 6.5K, 7K and the latest some two months old 7.6K of hits. The rest appear to be in a different league with; two guardian interviews with Michelle receiving 500 and 270 hits, a Richard and Judy interview 583 hits, Puffin book video 410 hits, a Waterstones video 2K of hits, meet the author video 27 hits and a Cheltenham Festival video 15 hits. 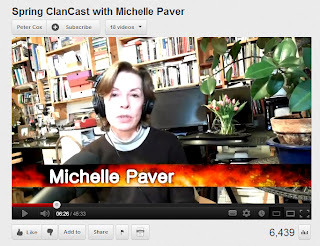 Peter Cox says, ‘The ClanCast events really grew out of the natural relationship that exists between Michelle and her readers. As such, they're simply enabling something to happen on a bigger scale. Production values are less important, we've found, than the human values that fandom represents. Participants want authenticity, not necessarily slickness’. One fan in New Zealand stayed up all night just to take part! We are not saying one is right and the rest are wrong, but we are saying that perhaps the one way communication isn't as effective as the interactive event. Also authors and agents need to think about continual dialogue and not just around the book launch. It is after all about connecting authors to readers and authors aren't just for Christmas. So what will be in this year’s Christmas stocking? We now have all the technology contenders lined up the Christmas shelves, sometimes side by side and sometime under an exclusive umbrella. The Kindle Fire has landed in the UK alongside the Nook, Apple have released, what they said they would never do – a smaller iPad, Microsoft bumble along as ever trying to play catch-up and Samsung continue to get the sales. Now even the children have their own LeapPad 2, a child-friendly tablet computer, or the alternative robust looking Kurio tablet. Watch any group of people, on trains, buses, in concerts, or just walking the streets and you will see the apparent techno zombies with ear jacks, their dexterous thumbs and fingers tapping out messages and mail and others reading not books and magazines, but their latest Facebook updates. There will always be the traditional gifts, toys, books, games and even that unwanted pair of socks, or present you save to pass on to someone else next year. But technology is fast becoming the safe buy. So what technology would be top of your letter to Santa and how will you use it and how will it impact you and those around you? Alternatively what technology would you like to give as a gift and why? Many will be driven to buy a tablet for their children, or even their loved ones. It may be more than the price of the traditional impulse, or last chance buy, but as it becomes that safe bet buy for those with often little imagination, and also often oblivious to the potential implications. It is an interesting thought that many families will be split up this Christmas, not by physical distance, but will be in the same house, but separated by technology and the desire to watch, listen, read or play by themselves. As a child we always wanted to watch, or play something else – we now can. 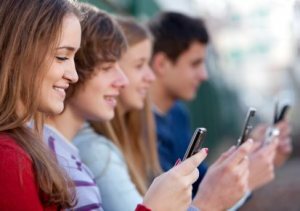 A somewhat striking study by Pearson, claims that pupils aged 11 and under now spent three times as long “on screen” as they do buried in a book. Some one in six parents admit that they never read to their children before bedtime and a third share a book no more than once a week. So the impact of the new technology may be connecting people over social networks, but at the same time potentially alienating them in their immediate social environment. That present you think is going to make someone very happy, may make this Christmas very different for the family and close friends.